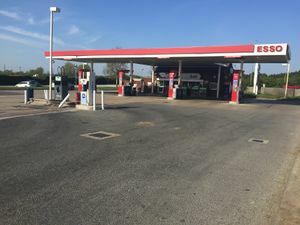 The services are situated on the A52 near Boston, but easily accessible from the A17 via Bicker Bar Roundabout, from which it is signed. The motel and its restaurant are unusually grand for a service area, although still stood next to a petrol station. Local facilities in the bypassed community of Swineshead are advertised from the same junction.